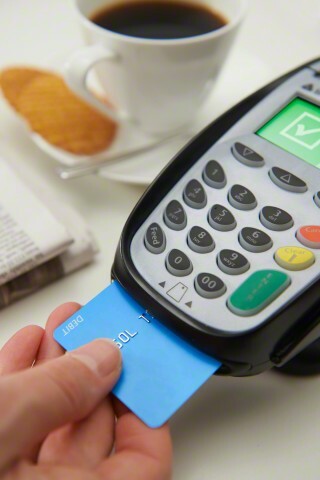 EMV should matter to your business. Here’s why. As of October 1, 2015, if your customers pay with an EMV chip card, and you don’t have an EMV-compliant terminal, you may be liable for any transactions found to be fraudulent. Industry watchers estimate that there will eventually be more than 575 million EMV-chip-enabled payment cards in circulation in the United States. And the U.S. is set to transition more than 1.2 billion payment cards and 8 million point-of-sale terminals to meet EMV requirements. EMV chip cards may be new to the United States, but the benefits of their technology are too significant to overlook. The reason for the popularity of EMV chip cards is simple: They dramatically reduce card fraud. Just check out these stats! 25% of the world – The United States accounts for only 25% of the world’s payment card transactions, but more than 50% of all fraudulent card transactions happend here. $10 billion losses – Losses due to card fraud in this country are expected to top $10 billion in 2015. Fraud doubled – Credit card fraud rates have doubled in recent years, representing 10 cents out of every $100 transacted. Fraud dropped – Europe has already greatly reduced card fraud with EMV. Fraud in the UK dropped by 27% between 2007 and 2012, the years when EMV cards became widely accepted there. Unlike a magnetic stripe card, EMV chip cards send data that changes with each transaction. They transmit a variable algorithm with each transaction, making the data more secure than the static data found on magnetic stripe cards. Why is EMV important now? It protects your business from credit card fraud liability. A primary way that cybercriminals use stolen credentials is to create a false card to impersonate the actual card. As criminals recognize that EMV implementation is underway, they tend to increase fraudulent activity. Businesses still using magnetic-stripe terminals after October 1, 2015 are on the hook for the costs if someone uses a lost or stolen credit card. It shows your customers you care. EMV is the future of payment transactions. Show your customers that you are concerned about the security of their data by implementing an EMV-capable system. Still not convinced that EMV is the future of your businesses payments? Want to get your system EMV-capable ASAP? Contact Dan or Mike at fusionrms@advancedbancard.com or support@advancedbancard.com.